Claude Monet Lily Garden with a no-risk guarantee! 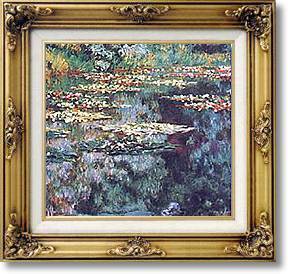 If you are looking for a Claude Monet Lily Garden oil painting reproduction, you're in the right place! Claude Monet painted many artworks of his garden at Giverny and you can see some of his most beautiful works in our online Monet Gallery. Please click here to see for yourself. If the Monet Lily Garden oil painting that you had set your heart on isn't in our online gallery, it's not a problem. Just fill out our 'Order/Request Form' with the details of your painting and we'll send you a no-obligation quote by email within 24 hours!